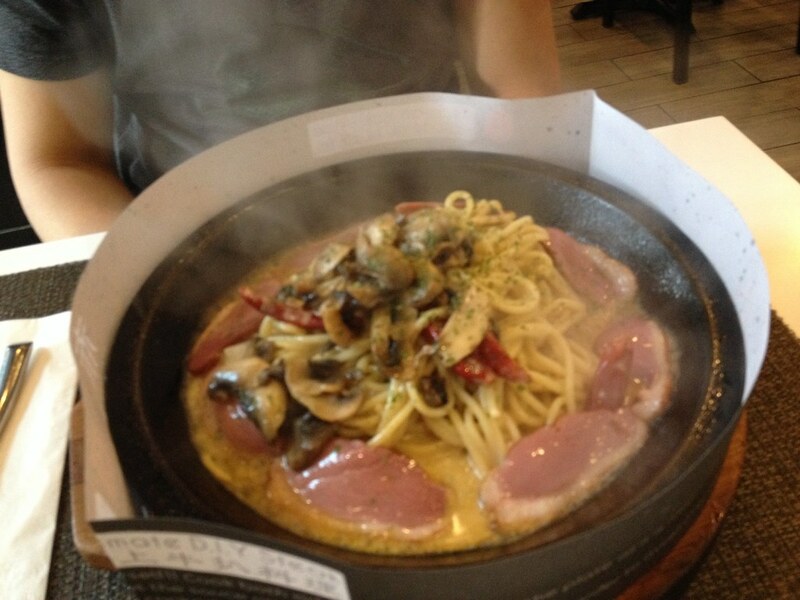 The first time I had individual teppanyaki steak was at Pepper Lunch, a fast food chain in Hong Kong. 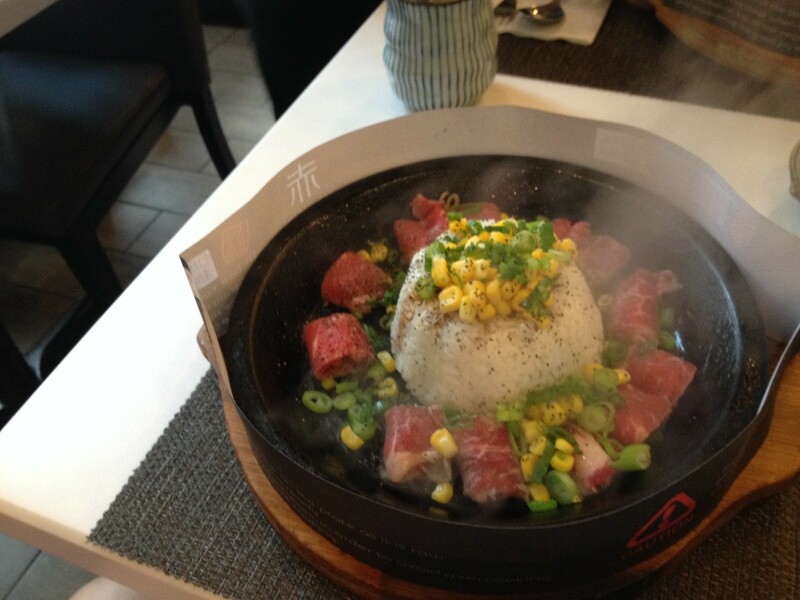 Thin slices of steak were served on a sizzling cast iron plate with rice and toppings. A paper shield surrounding the dish protected you from the butter splatter as the meat cooks. 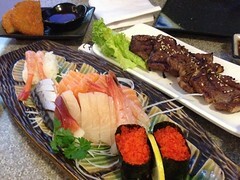 Aka Teppan first brought the concept to Markham last year and just opened a second location in The Annex. Atmosphere: The Markham location of Aka Teppan is located at First Markham Place (FMP), a mall where I can never find parking. There are restaurants at FMP that have been around for decades. Aka Teppan stood out with their minimalist style sign and modern decor. Long metallic modern lights dangled over grey leather seats. During dinner, the fast casual restaurant was relaxed with 90s pop songs playing in the background. Service: Service was fine. 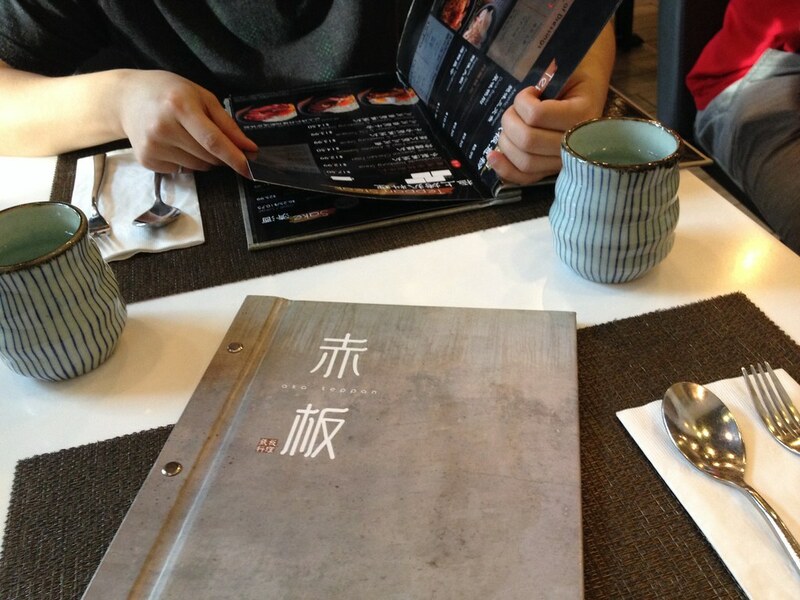 We didn’t have any trouble ordering, asking questions about the menu and our food arrived quickly. My only gripe was that no instructions were provided on how to eat, prepare the teppan meal. Yes, a 3 step instruction guide was printed on the paper shield, but I think serving customers raw meat on a sizzling platter should come with a few rods of advice. It’s a unique dining experience, at the least, customers should be asked if they know what they’re doing or told to read the instructions. 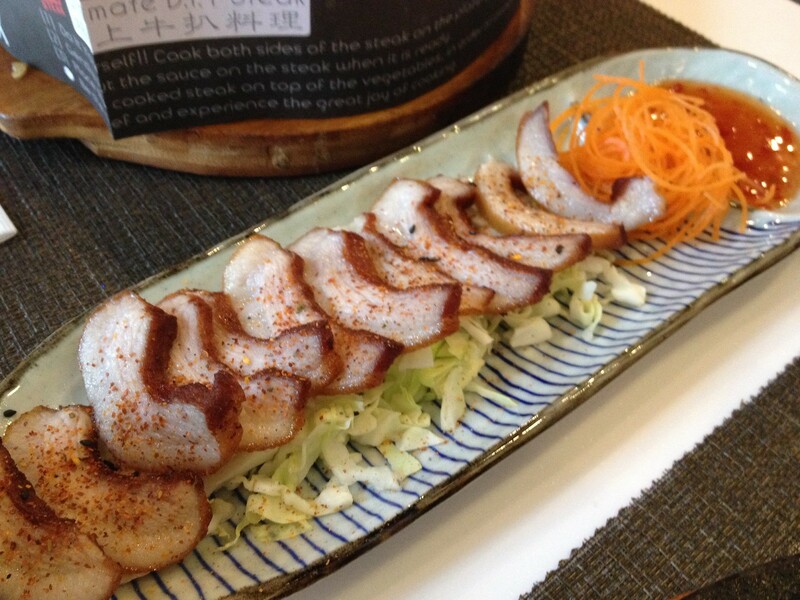 Food: As an appetizer, The Hubby and I shared an order of Grilled Pork Jowl. 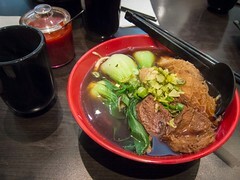 The fatty cut of meat was sliced thin, fried, sprinkled with spices and served with plum sauce. A good dish but the jowl could have been crispier. The Hubby ordered the Duck Breast Teppan Pasta and I had the Supreme Beef Teppan Yaki Rice. Both dishes arrived smoking hot. For each teppan dish, there’s a list of toppings that can be added. 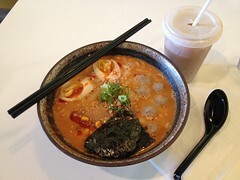 Each dish does already come with some toppings, however the menu doesn’t specify which. We didn’t realize the Duck Breast would come with mushrooms, which unfortunately The Hubby doesn’t eat. We quickly transferred them onto my plate (after taking a picture) and I got to enjoy an extra topping. Mushrooms aside, the pasta dish had a lot of flavour. 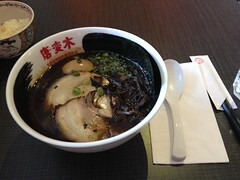 The numbing sauce was more numbing than spicy, adding a kick without masking any of the other ingredients. The slices of duck breast were fresh and tender. I was impressed at how the sizzling plate left a great sear on the meat. My supreme beef plate came with corn, 10 slices of thin beef and a good portion of rice. The sauce was sweet, savoury and when mixed together created a tasty, filling meal. 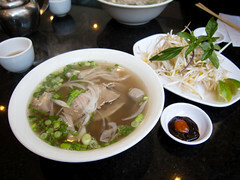 Both dishes were well seasoned with a good balance between sweet and salty. Food at Aka Teppan was interesting and flavourful. I’m curious to try out their other cuts of meat and hot pots items.